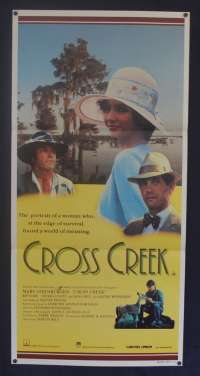 Original Australian Daybill movie poster Cross Creek.Marjorie Kinnan Rawling is a frustrated newspaper reporter who turns her back on her cosmopolitan existence and takes up residence in the Florida Everglades. There she turns her efforts and attention to the writing of novels. 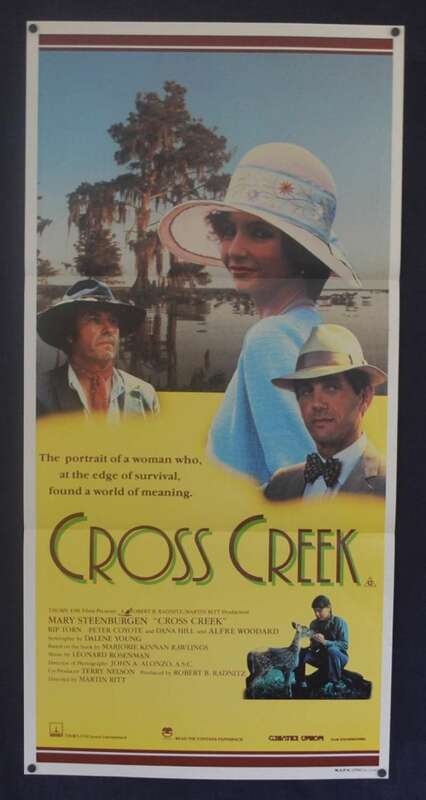 Cameo appearance by Malcolm McDowell.